Return of the Nazis (AfD), Fascism, Antifa, NFL, etc. Elections in Germany have brought what could be expected, after Merkel’s ill-conceived refugee policy. The elections of September 24, 2017 dealt the lowest scores for the two main parties in nearly a century (the SPD was already around more than a century ago). The elections produced 94 Members of Parliament to Alternative Fur Deutschland, (or AfD) the party for an Alternative for Germany. One of its co-leader, the exultant Alexander Gauland, called for Germans to be proud of their army… You know, the notorious one, the German army of the Second World War, in other words, for the “Volk” to be proud, again, of the Nazi army. There was of course nothing to be proud of: instead of organizing a coup against the Nazis, as civilization and basic human ethology called for, the German army which launched the Second World War was crucial to the killing of 5% of humanity and the suffering of all of Europe, and much of Asia. For those who don’t know, the Nazis were officially allied to the fascists in Italy, Spain, Japan, and, secretly, Stalin and its goons. The alliance with Nazi Germany enticed the fascist Japanese high command to go into a full-out war against China… A war which could work only if it were implemented with war crimes and exterminations. Now, of course, Merkel, by opening the floodgates to 1.2 million refugees in 2016, cultivated her own defeat. The problem being that most of them come from the Muslim zone, and Islam was fabricated as an anti-civilizational weapon. Seeing women covered with veils on German state TV explaining that covering women with veils was the future, could only bring a reaction against this blatant sexism. 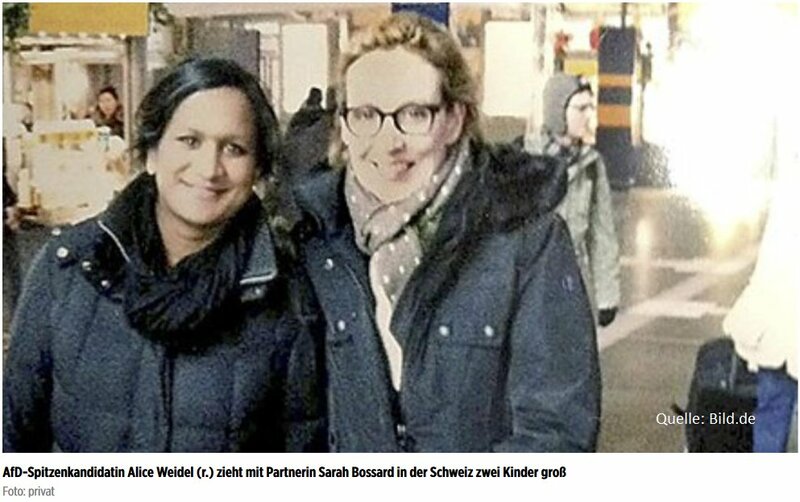 Leader AfD (on the right) with her Sri Lanka Born Wife; they have two children. Yes, she worked for Goldman Sachs, and lived years in China, did you need to ask? Meanwhile a guy called Milo went to the UC Berkeley campus, protected by police officers from all over California. The cost of the police operation was 800,000 dollars. Milo stayed 15 minutes, didn’t talk in a microphone, said nothing of substance. Why does Milo need to be protected so much? He is depicted as “ultraconservative”. Actually he is a very loud homosexual, keen to depict his sexual prowess. At the same time, Milo criticized homosexuality as a bad role model for children, and yet, condoned pederasty according to the old Greek system, as good for teenage boys (at that latter point, Steve bannon’s Breitbart News fired him). Milo is full of little ideas, many too provocative by half. However, it’s nothing to get deranged about. Getting deranged can be most useful. For example, the spectacular breakthrough of the AfD in Germany should derange the consensus that Islam is a good thing. (And, to tell the whole truth about the AfD, it’s co-led by a woman, Weidel who lives with another woman, a Swiss originally from Sri Lanka, and they have two children…. So AfD partisans will tell you they are not Nazis; this ignores the fact that several of the top Nazis were… Jews! Some officially, some hiding in plain siht below good “Aryan” looks). It is really a testament to something terrible when the self-declared left got so enamored with Islam. After all, Islam inspired Hitler, including for the wearing of yellow star, a Muslim idea adopted by six centuries later by the Christian theofascists in the midst of the Inquisition, Crusades and other deranged horrors of the most vicious and infamous type..
And the mechanism is always the same: when the self-described “antifa” assault dementedly the likes of Milo, they are not just proving idiotic, they are doing exactly what the Masters of the Universe want them to do. Not all protests are misplaced: when sport figures refuse to honor the national anthem, they join me in healthy protests across the decades. Long ago, I made lots of enemies, and not just in the USA, or France, by refusing to rise during the Republics’ anthems. It was a form of protest against the ambient fascism from the higher-ups, and the strangulation of the mind by vicious conformism. At the time, I was judged weird, crazy, impolite, and of low moral standards. But to honor the authority of the state publicly, when one disagrees with it, is not just debasing, it’s to admit one is so afraid that one does not live in democracy, that one has to debase oneself by a public display of adoration. Ah, and time to realize that a lot of sports is just frantic nationalism in another guise… Those who get all excited for the local sport team are not fundamentally different, in some passions they honor so loud, from the average North Korean singing the praises of the Great Leader. Trump, Macron Didn’t Understand the First Thing these times need: the right emotions, moods, ideas. And those can only spring from democracy. But what contemporaries call democracy, isn’t democratic enough to ripe the fruits of the democratic process. PR. Public Relations, is PC, Politically Correct, but not brainy enough. Who are these arrogant would-be alpha apes who claim, to themselves, and to us, as loudly as they can, that they can lead humanity? OK, the Constitutions say so. But doesn’t that mean they should be changed? Apparently, the alpha males in a rut, have a large following in the USA and France. The French Army Chief of Staff resigned: he said no man should be followed blindly. That provision was finally installed in the Bundeswehr’s Constitution. German soldiers’ obedience is now to the Constitution, not the “leader” (guide, Führer…) the same should be made clear to US soldiers. Trump and Macron have huge military power at their disposal. No single man should have such powers. What is the country spending the most on the military? The USA, in part by cheating on what “deficit” means (or, to put it milder, by defining the “deficit” completely differently from the way the European Union does. France spends more on the military than Russia, but still it’s not enough: at this point on France rests the defense of the entire European continent from Africa and the Middle East, where a religion has made the place so bad, nobody wants to live there anymore. Much better to bring the mess to Europe, where it’s still clean. In some ways, Macron is the French Trump. In other ways, Macron is the French Obama: he met with singer Bono yesterday, and is exchanging educational tips with Rihanna, a pseudo-singer, or pseudo-thinker (about how others hold her hips), famous for holding her chest in place during “music” videos, and other Crazy Horse Saloon antics… No activity is ridiculous enough to prevent Macron to luridly engage in it. Indeed a French Trump: consider the banking connection. 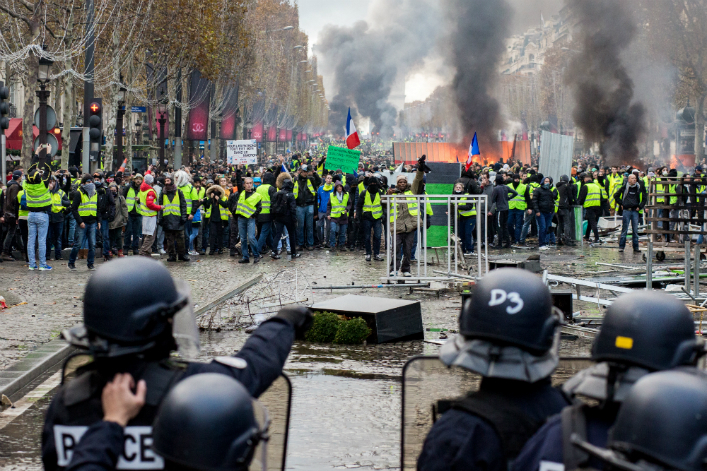 Macron came out of nowhere, to be showered with money, many millions of dollars, even housing, by bankers. Trump came out of his father’s wealth to become much more, thanks to bankers, who showered him with money. The global plutocratic elite “hates” Trump because Trump is a loud mouth, an elephant in a porcelain store. The elite is deadly afraid that Trump will make global plutocracy obvious. Thus the global plutocratic elite much prefer Macron: Macron looks like a meritocrat, when, actually, his main merit was to become the man of plutocrats and bankers, who see in him a new Jesus. 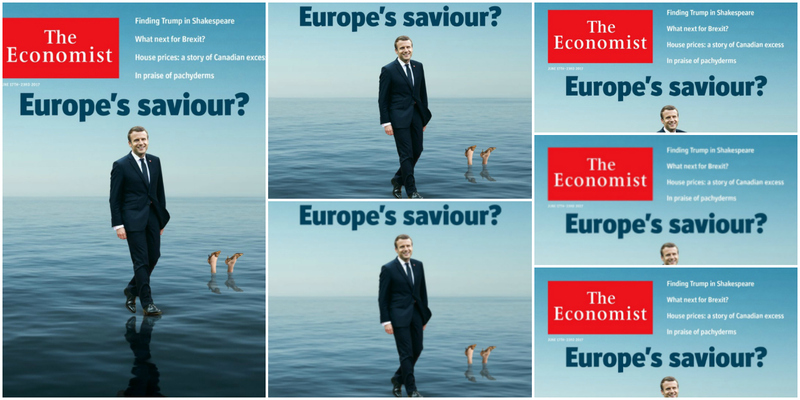 The Economist has found a watchdog it loves. Unfortunately, the way Macron is going, that won’t last… He walks on water, but will finish like May (the leopard shoes sticking out in the background). France’s military chief of staff, five-star general General Pierre De Villiers, quit, in a loud and very public spat. 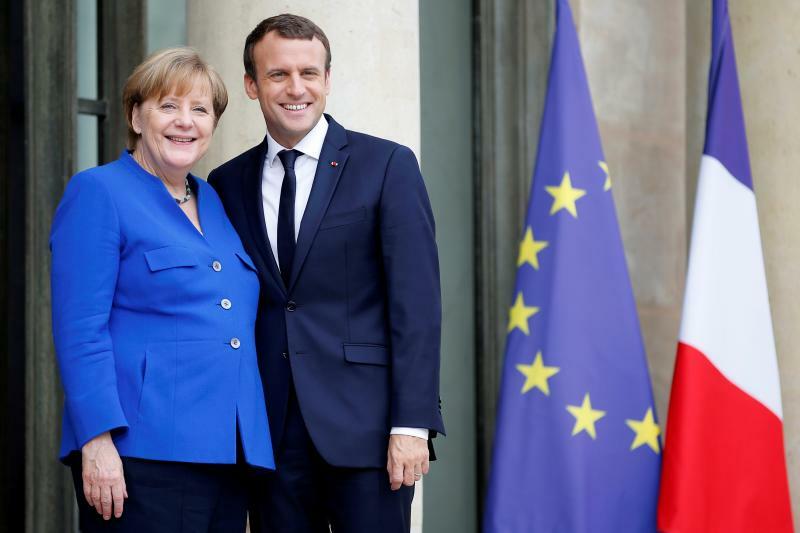 Emmanuel Macron had declared that defense spending would go down 850 million Euros, after making a campaign where he claimed he would augment military spending by a considerable 12%. The French Republic is at war in Mauritania, Mali, Burkina Faso, Niger, Chad, Syria, Iraq. 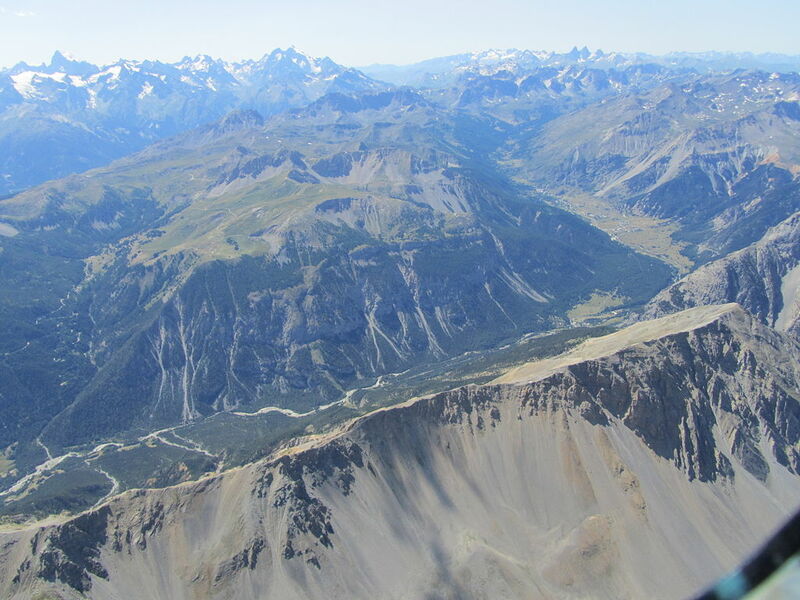 In the last 40 years, the French military was deployed in 70 combat operations. Macron didn’t say to the French military:”I am your leader”, as The Economist pretends he did, by mis-translating “chef”. Macron said:”Je suis votre chef” (“I am your CHIEF”). Do we need a tribal chief, millennia after tribes were rejected as optimal governance? This incident also denotes that Macron has understood nothing. Nothing at all. Macron understood nothing at all of what ails the West most. The lack of democracy. 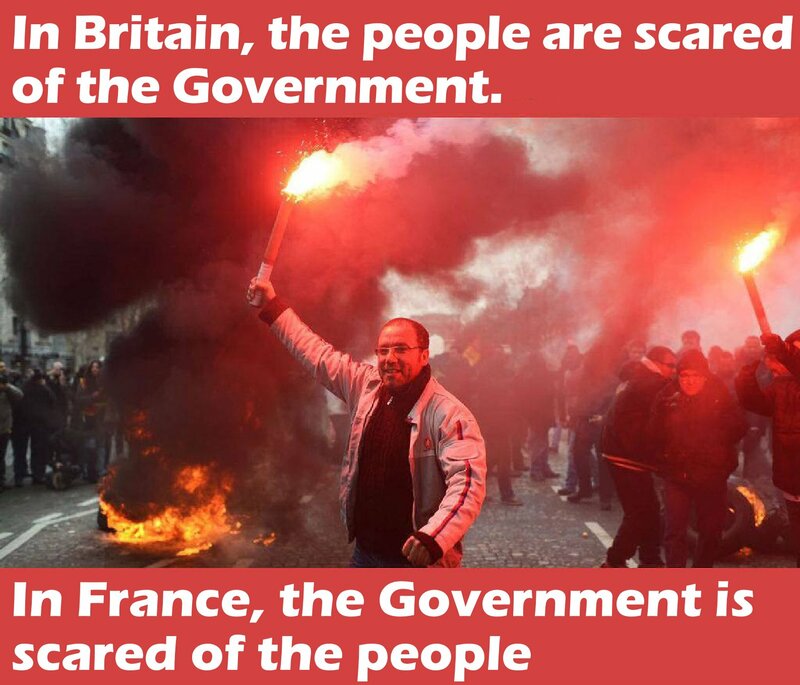 What ails the West most is the lack of democracy. One can’t have democracy, when inequality is too great. Clearly, little chief Macron intents to magnify said inequality further. Usually, when people talk inequality, they evoke the number of the wealthiest versus the number of the poorest, and how far they are. But the ancient Greeks would have looked at something else when quantifying democracy: the lack of isegoria (lack of equality in publicly addressing the People’s Assembly, the Ecclesia). The lack of isegoria would have been viewed as part of a more general lack of isonomy (equality management). In any case, No isegoria, no democracy. Lack of democracy has led our world to disastrous decisions in economic and sociological matters. It has also led to massive, runaway inequality. 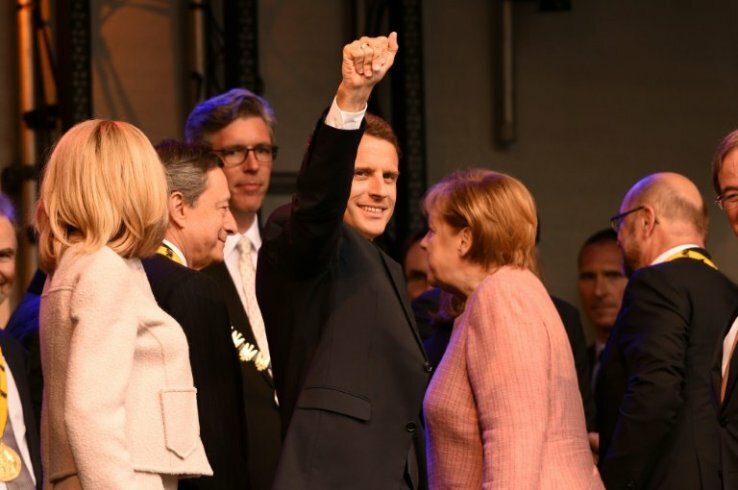 Macron was brought to power by the explicit intervention of “adoptive fathers”, such as David Rothschild, who indirectly gave Macron millions, while another plutocrats (lent and) gave him a million Euro apartment in Paris, when Macon was basically a babe. But a babe who had direct oversight on taxing the plutocrats, including Banque Rothschild, which then employed Emmanuel Macron. Obama didn’t do much, if anything, of what he claimed he would do. Instead, his tenure served the plutocrats. And the proof is that inequality has never been so great in the USA. The case of Macron is clearer: he clearly became “chief” as an instrument of the wealthiest, dirtiest few who have fed him like a hungry baby crocodile. When voters realize the crocodile is just that, a crocodile, growing fast claiming he leads humanity, they will see only barbarity in his whole tenure. Fear the streets. And the army will not rush to Macron’s rescue. We don’t need to be led by self-aggrandizing psychopaths. We need to be led by the best emotions, moods, and ideas. Clearly, having Macron or Trump as “chiefs” to obey blindly is not one of them. Everything is wrong with civilization nowadays: the poles are melting, and fast (ice VOLUME is collapsing in the Arctic; some will scoff; however I was evacuated from my house by a giant fire, this essay is written under mental distress, knowing landscapes I loved just burned out to a crisp… the fire is still going on: “austerity” made it so that there were not enough anti-fire planes…). Our great leaders organized all that. Common people pay lots of taxes, so that, and because, billionaires pay none. Some then sung: all you need is love, all important things in the world are free. Right. Until you realize this: Macron’s educational adviser is Rihanna, the one who holds her chest, as a new form of dancing with self. The wealthiest people in the world have so much money, so so much power, that they have made, and are making ever more, most people so incredibly stupid, they have no idea what’s going on. They are like bleating sheep going to slaughter. Watch those lesser beings get so thrilled about “sports”, namely tribal frenzies. Common people pay lots of taxes, so that, and because, billionaires tell them how to think, how not to think, and even how to feel. This is not 1984 anymore, it’s worse. Another Day, Another Islamist Attack: Outlaw The Preaching! 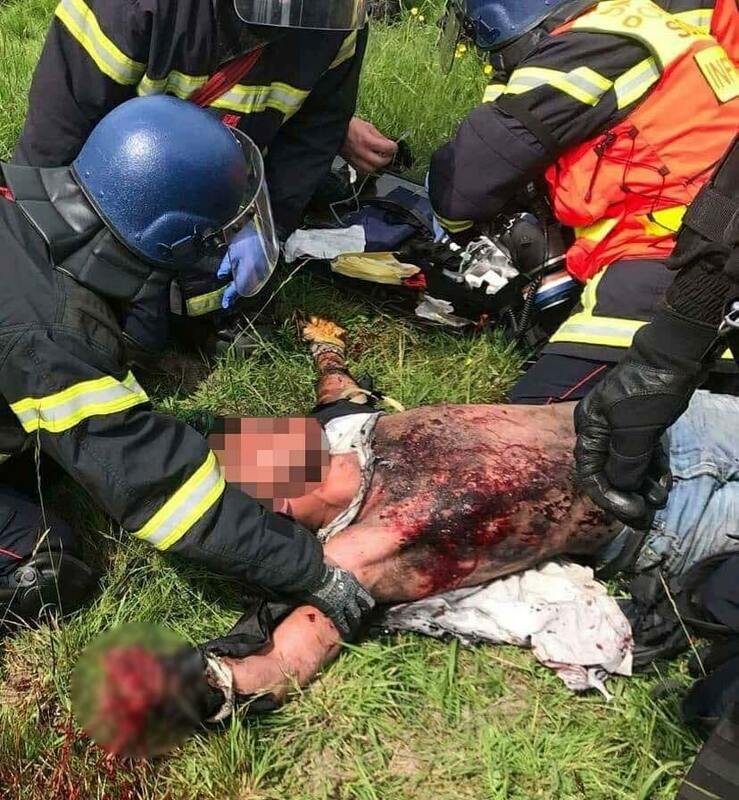 A French Islam practitioner attacked the Gendarmerie on the Champ Elysees. The assailant, complete with explosive, assault gun, etc. was badly burned and died at the scene (the Gendarmerie is part of the army, not the police, and is heavily armed). Literal Islam, as depicted literally in the Qur’an, and, worse, the Hadith, is incompatible with Western civilization. This is not being insulting, unfair or racist to say so. It was explicitly designed that way by Muhammad. Muhammad expressed himself very clearly: he thought the Jews and Christians had failed to enact the Bible literally. He also wrote that the Greeks, Romans and Persians, with their empires, had prevented the Arabs to raid, for a full millennium. With Muhammad’s new religion, this was all going to change: demographics and Jihad would be cranked up. Core Of Western Civilization Under Siege. Notre Dame is not just a cathedral built nine centuries ago. It was also where what came to be known as the “UNIVERSITY” was located, for many centuries before that. By law the Cathedral Of Paris had (the best in Europe) secular teaching in Europe, already by the Seventh Century. It was an obligatory mandate, a law imposed ordered onto all religious establishment by Salian (secular) law. When the old cathedral was demolished and replaced by the present one, the mandate went on. That Islam is a war machine against Greco-Roman civilization (and even against the related Persian Sassanid civilization) is the incontrovertible fact, made plain in the sacred texts of Islam. It’s written black on white. Ultimately, there are thus only two outcomes: 1) Literal interpretation and preaching of Literal Islam is outlawed, and the law against preaching murder of most of the population is enforced. Or, 2) Western civilization is destroyed (as Muhammad intended explicitly to do, and that’s why he personally led the first attack against the Roman empire). This is simple, and it should not be very hard to understand to those with independent thinking capability. Those who have not spent, let’s say one hundred hours reading the full Qur’an and the most significant parts of the Hadith, should not be considered cogent enough to disagree stridently with this (and most Muslims have not read the Qur’an, let alone the Hadith; they only know some deceiving passages which carefully avoid the gist of the message of the Messenger…) The Qur’an for example, orders “a rain of stones” on homosexuals. On this particular subject, the Qur’an quotes Lot, in the Bible’s Old Testament. It is possible to construct variant of “Sufi” Islam which are fully compatible with Western civilization (as found historically in Senegal). Those should be encouraged, promoted. But they have been swamped by Literal Islam, deadly enemy of civilization. Preaching hate crimes should be considered to be a grievous crime, especially when targeting children. It does not matter if it is in the name of the Arab God, or the Aztec God Huichilobos. Preaching, or teaching hatred should be punished by very long prison sentences, and expulsion (when possible). Notice that ordering to kill many categories of people, as the Qur’an orders to, is tantamount to order human sacrifices of most of the population. 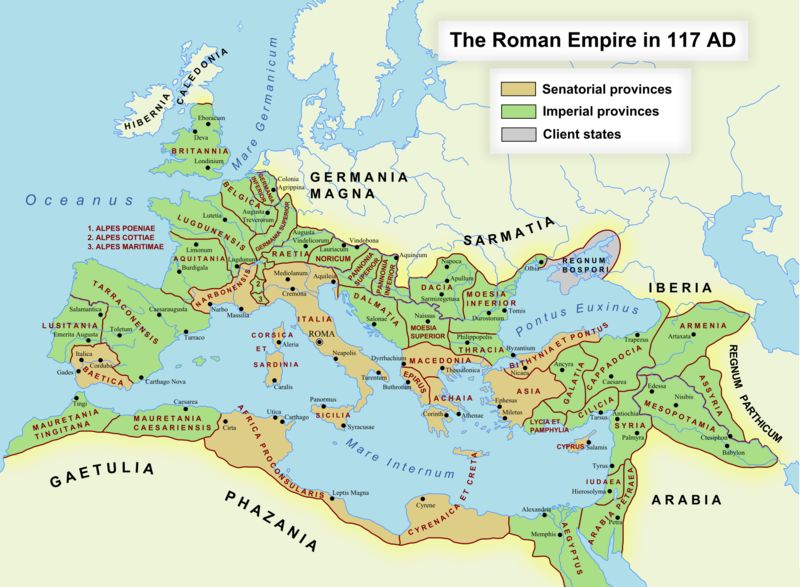 In the Roman Republic, religions ordering human sacrifices were outlawed into inexistence. So there we have a legal precedent, more than 2,000 years old. The statement should not detract from the seriousness of oppression and persecution occurring around the world, especially to Muslims, whom we remember in our prayers by day and night…It should also not detract from deeply unfortunate statements issuing forth from some quarters, which seek to implicate the entire Muslim community and the religion of Islam, or insinuate that one system of values is ontologically superior to another. In France, meanwhile, some lines of communication that used, for better or worse, to connect mainstream politics with Muslim community groups seem to have failed. One of the most widely organised Islamic bodies in France had hitherto been called the Union of Islamic Organisations of France (UOIF). 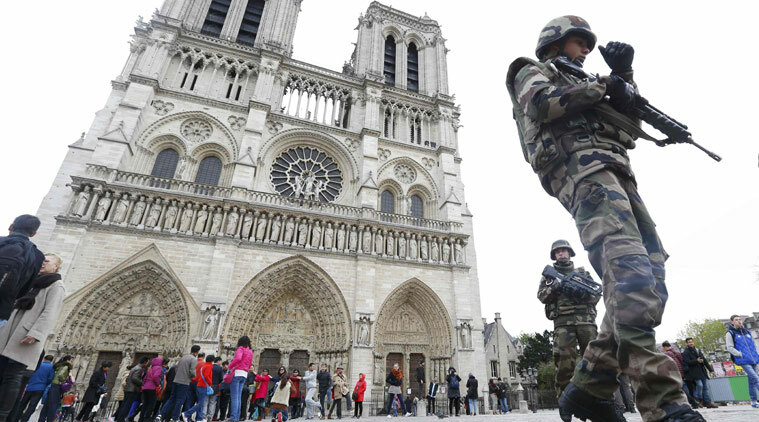 It recently vowed to rename itself the “Muslims of France”. It is regarded as being ideologically close to the Muslim Brotherhood abroad, which it denies. During the 2012 presidential poll, it backed François Hollande, the successful Socialist candidate. Staying away will not be enough. The essence of the problem has to be addressed. Neither the Bible, nor the Qur’an should rule the Republic. And serious death threats should be treated as such. Republics are best at eradicating threats. Ah, yes, but the Republic is closer to a plutocracy in all too many ways, nowadays, and that’s the crux of the matter… The media are held by plutocrats and the meta teaching of plutocrats is how, not to think (so one won’t bother them). Then they can be like Amazon, telling you everything you need, and even feeding you (Amazon just bought “Whole Foods” for 14 billion dollars).